Below are some examples of my mobile design work. On screen mobile remote is an iOS mobile application that paired with our in-patient interactive patient care application. The WeatherBug Apple iOS application was one of the first mobile applications to include a comprehensive set of weather data including real time alerts in an easy to consume interface. The WeatherBug Android application includes a very detailed set of weather information including the ability to share weather photos and temperatures from your mobile device. The Zapp App application was designed to be a plugin for 3rd party mobile applications that could be enhanced with weather data. The WeatherBug iPad (iOS) application showcased interactive weather maps with customizable map layers. Also, local and weekly weather reporting was included. This application was showcased by Apple and released with the first iPad. 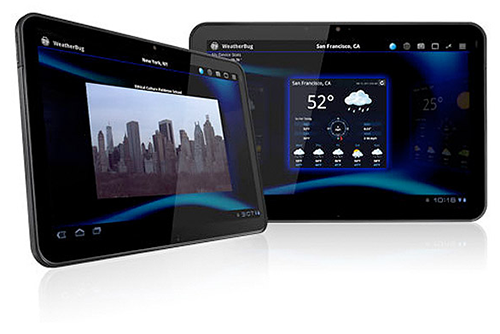 The WeatherBug Google (Android) tablet application was one of the first of its kind and closely integrated into the Motorola tablet. © 2019 Jacob Rath. User Experience / User Interface Designer. All rights reserved.